If you’ve been reading this blog, you know that I am a “tenkara the tool” angler, not a “tenkara the method” fisher. I fish dry flies 95% of the time, so I use a lot of floatant. Finally, I got tired of paying $5.99 for floatant and struggling to use it. 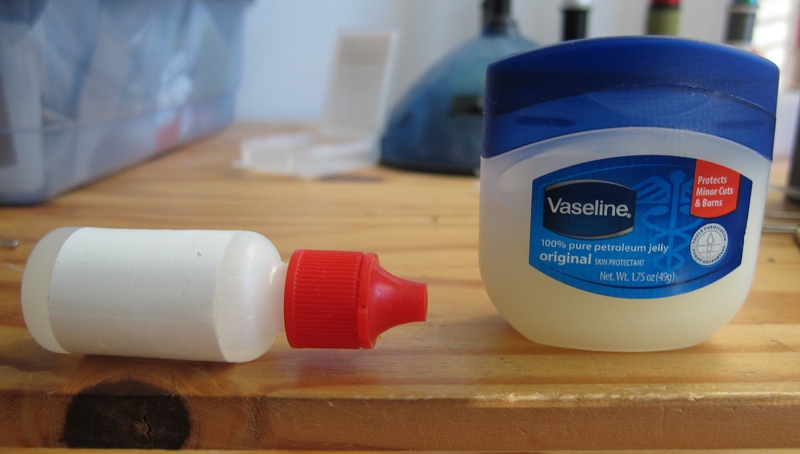 It is so temperature-dependent that on a cold day I have to squeeze the bottle as hard as I’m able to get a miniscule amount to come out of the bottle’s plastic tip, kind of like being constipated and straining like it’s a breech birth. When it’s a warm day, the stuff squirts out like you’ve eaten a bad burrito. So I went to the dollar store and bought a small plastic jar of Vaseline for a buck. Guess what. I works better than commercial floatant ever did on my dry flies. I believe that dollar jar will last me the next decade or so. Try it. Save your money for something else–like Chinese carryout.